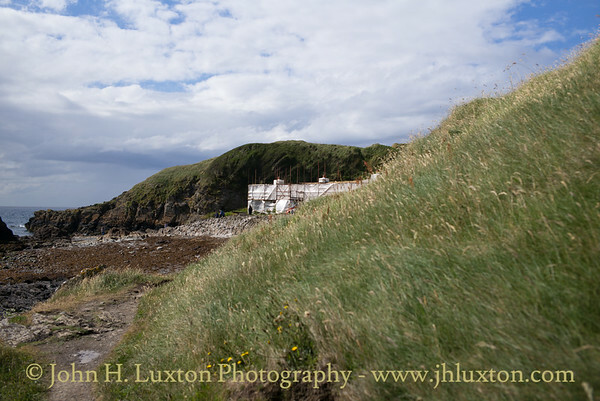 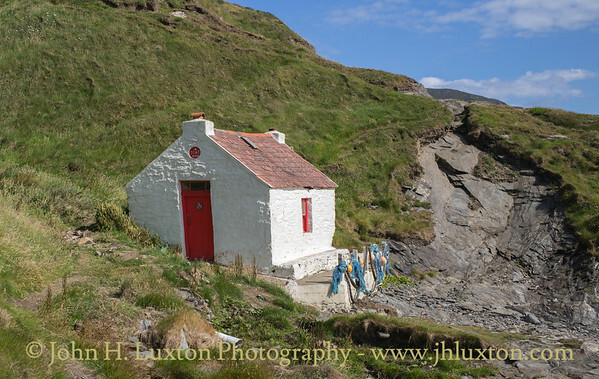 The promontory Niarbyl, which means "the tail" in Manx Gaelic for the way it extends into the Irish Sea, is a small settlement located on the the southwest coast of Isle of Man between Port Erin and Peel close to Dalby village. 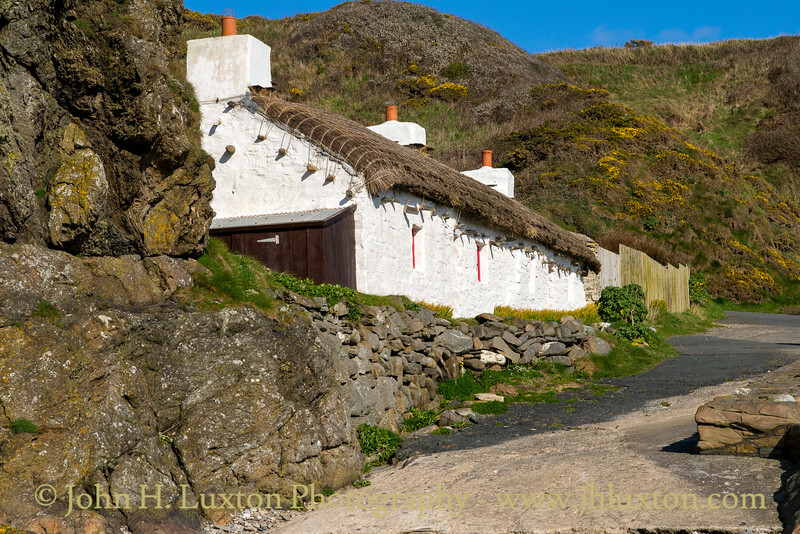 It borders the Irish Sea and is best known for its spectacular sea views which include Calf of Man and, on clear days, include the mountains of Eire. 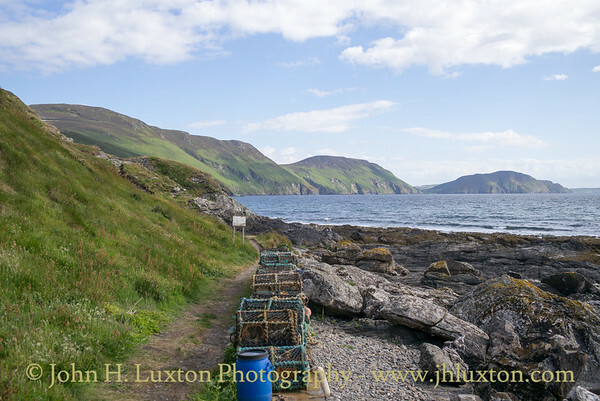 Niarbyl Bay and the surrounding area is considered to be of outstanding natural beauty and is cared for by Manx National Heritage. 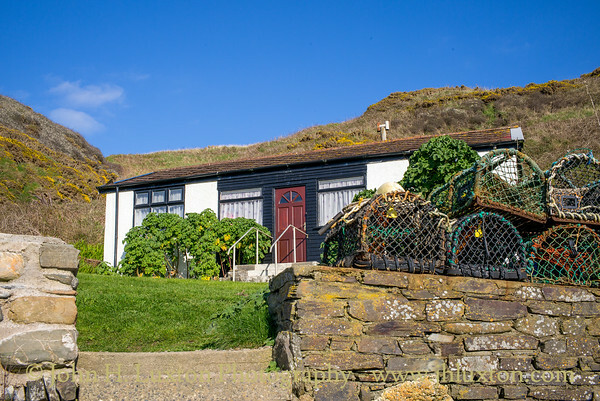 Niarbyl offers a café and visitor centre. 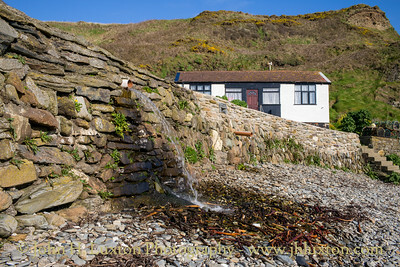 The location has been used in a number of TV / Film productions over the years notably in the World War II Prisoner of War movie “The Brylcreme Boys” and “Waking Ned”. 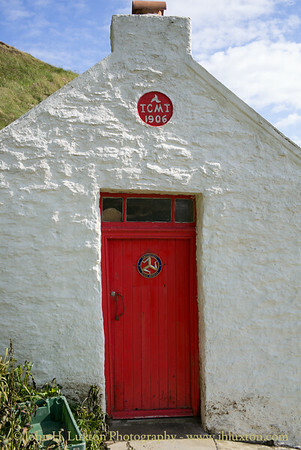 Both of these feature films were set in Ireland though location filming was undertaken on the Isle of Man due to the similarity between the Isle of Man and Ireland. 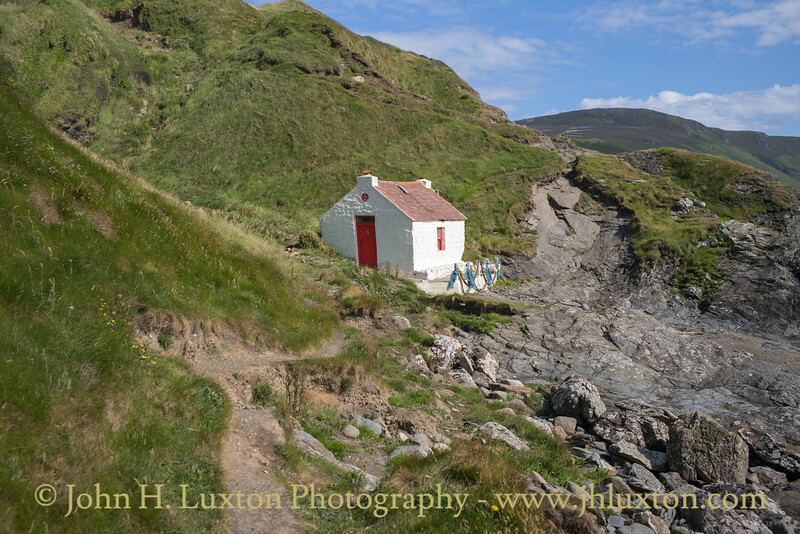 The area is also of geological interest with the Niarbyl Fault marking what remains of the now-extinct Iapetus Ocean, is located close to the cottages. 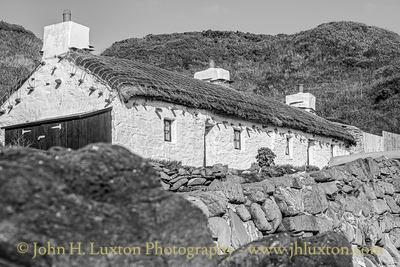 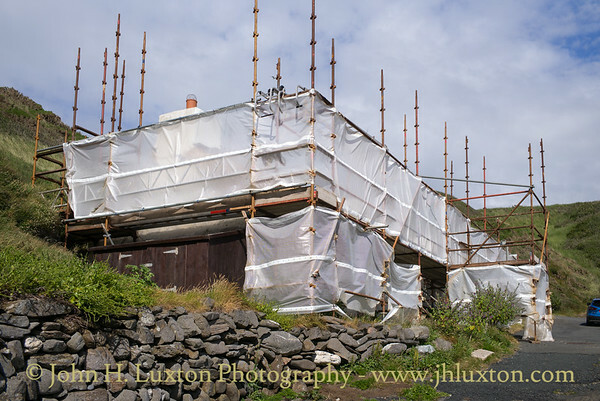 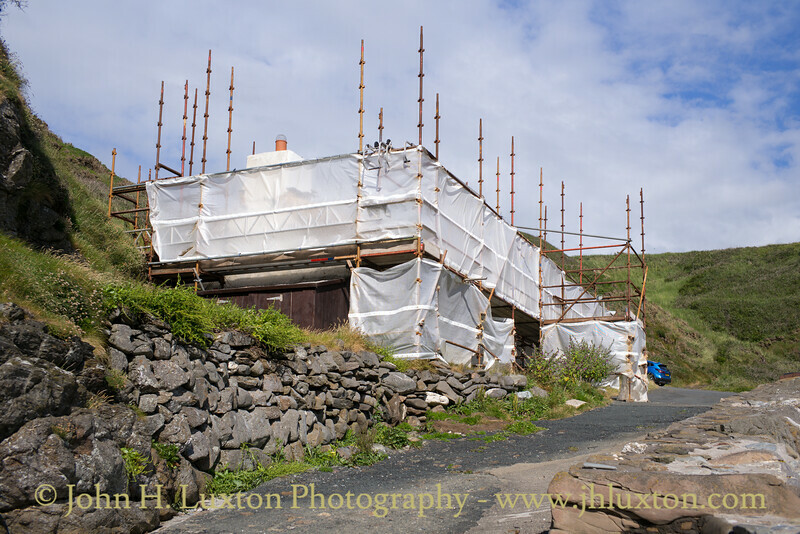 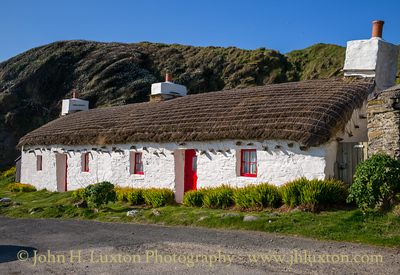 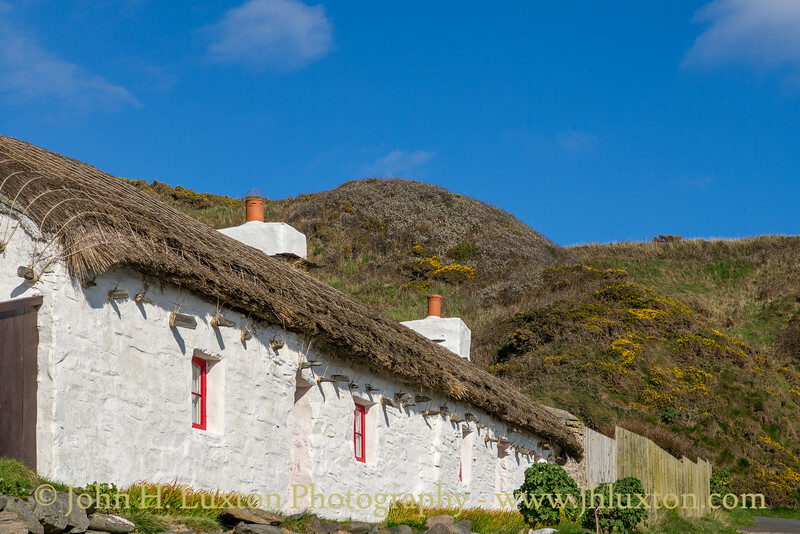 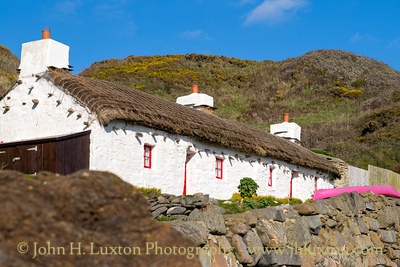 The Niarbyl Cottages undergoing a rethatch and maintenance. 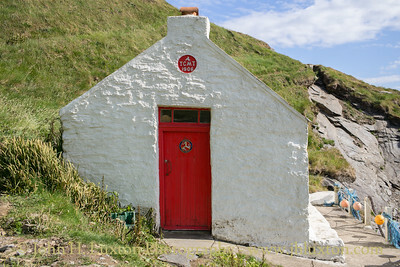 Knockuskey Cottage Niarbyl is in 2018 a base for the "Beach Buddies" environmental group. 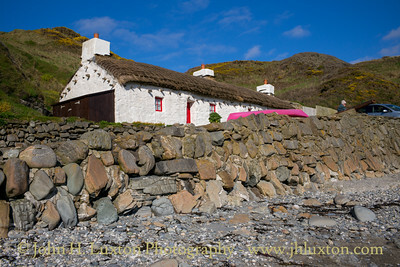 Florrie Forde's Bunglaow at Niarbyl which was once the holiday home of the singing star Florrie Forde (1875 - 1940). 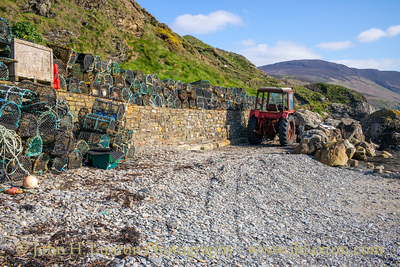 Crab pots on and above Niarbyl Beach. 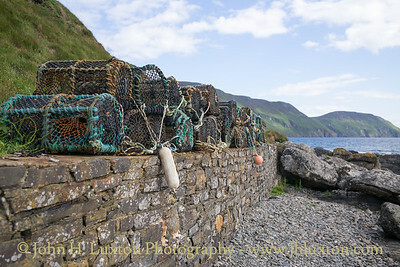 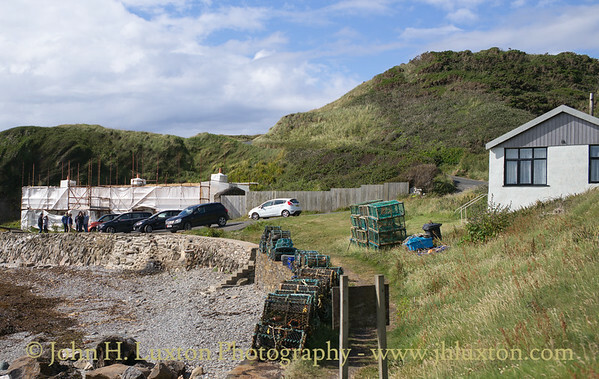 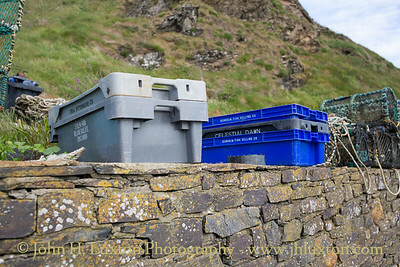 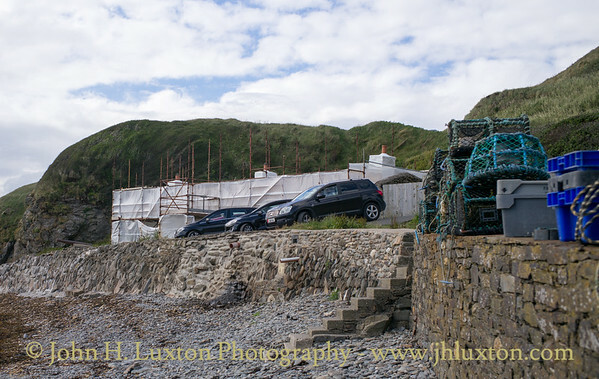 The fishermen's octtages viewed from Niarbyl Beach.